Hello! 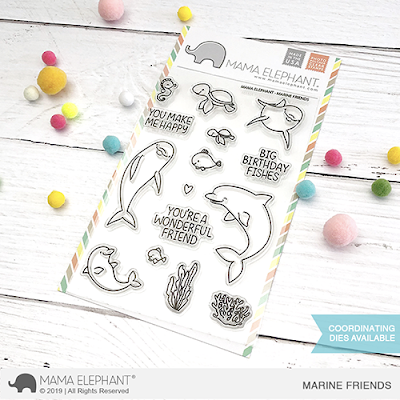 Today we are introducing the cutest little ocean themed set called Marine Friends illustrated by Aida Zamora! 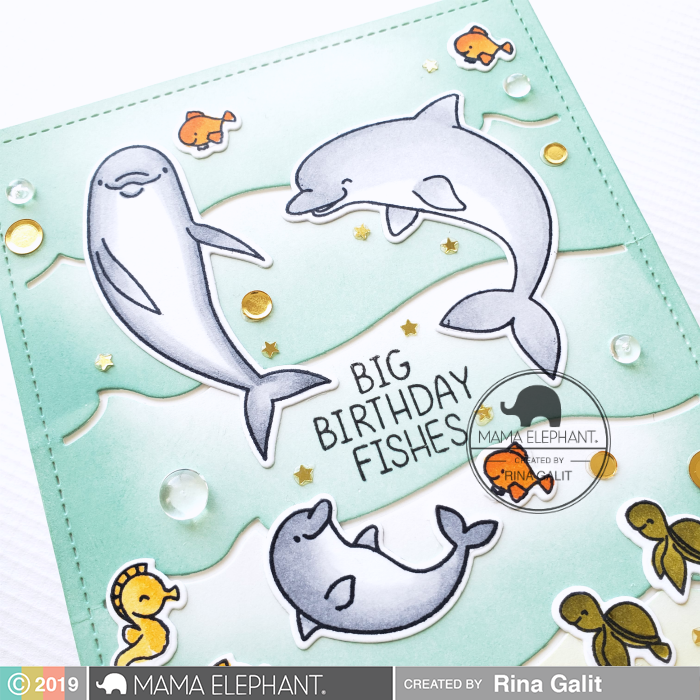 They feature playful dolphins and their buddies! 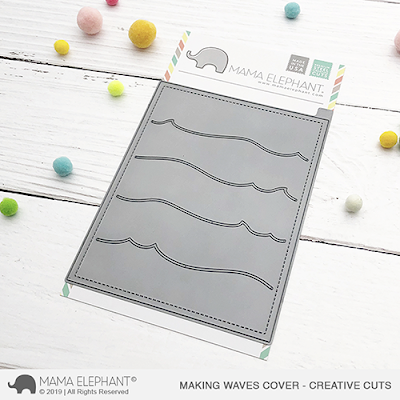 We are also introducing this staple piece called Making Waves Cover, a follow up to the immensely popular Cloudy Day Cover! 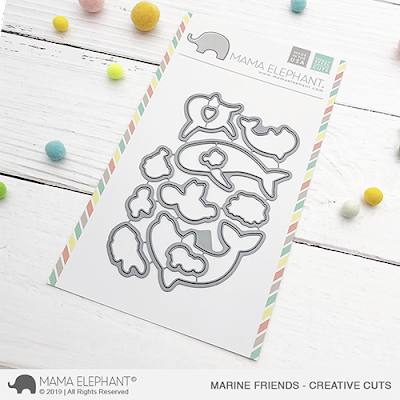 We have found that these seemingly simple designs are crucial to making projects easy and fun! This one will help you make fun waves in no time! The slits are there for you to tuck your critters in to create a dimensional card as easy as 1-2-3! Rina has a charming little card featuring the new goodies in this video here. Isn't it gorgeous?! Love love the gradient she applied to Making Waves Cover! So much you can do to create a beautiful ocean-themed scene! Thanks for stopping by today! 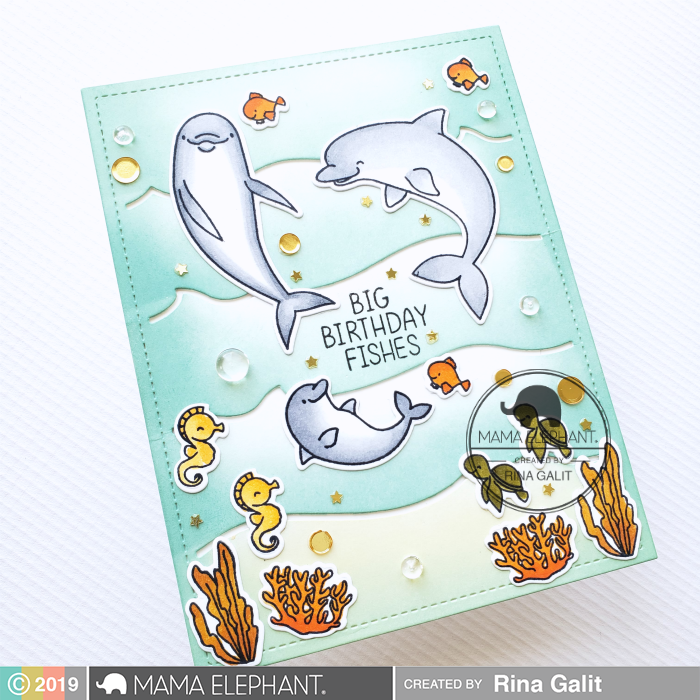 Make sure you leave some comments to let Rina know how awesome her card is today! Adorable stuff! I know I’m going to order these ASAP! Absolutely wonderful! I can't wait to own these! Super sweet set and lovely card! Oh Wow!!!! I really have to have this Adorable stamp set!!! Soooo CUTE!!!! wonderful! lovely card and great stamp set!